Whichever it is, I love it, and I know a lot of bloggers do too! Having been after a marble print phone case for quite some time now, you can probably imagine my excitement when the opportunity to work with a Dutch brand that specialises in gadget accessories named 'GoCustomized' arose. If you are a long time reader of my blog, I say long time... I mean if you've been with me since August, you may have seen my post about Sighh Designs which pretty much confirms my obsession for switching up my phone case. Enough about me though, let's get talking about this beautiful case! GoCustomized reached out to me a couple of weeks ago, offering me the option to pick any style of phone case I like, in any design I want. As a brand who specialise in personalised phone cases, I couldn't wait to see what they had on offer! Originally, I planned to create a design from scratch, but then I saw the pre-made marble print and it was love at first sight - but it's still nice that the option is there, if you want to create your own. After many minutes of looking through the different variations of phone cases, I opted for the full wrap case which comes in at £19.95. Although it is the most expensive case I own to date, I feel that the quality totally justifies it... no chance of my iPhone smashing with this bad boy on (thank god!). 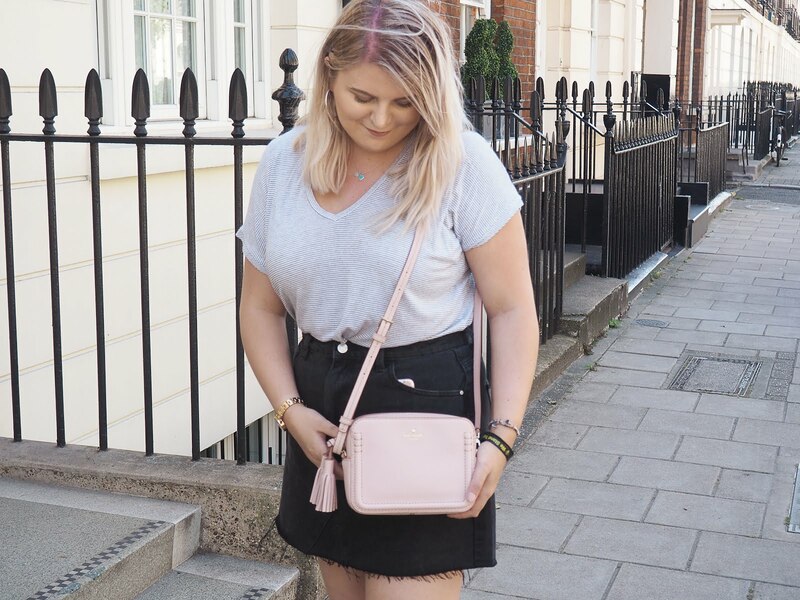 With the case being extremely sturdy and me being extremely clumsy, it has already become a firm favourite of mine, plus it matches your outfits really well, win win! So why not check out GoCustomized and make your own iPhone 6 case? If you have an iPhone 6 that is... but don't panic, they do cases for a range of models, including tablets! I tend to take quality into consideration now when purchasing a phone case so I don't mind paying a little bit more! marble! a bloggers best friend! haha, i too am addicted to switching up my phone cases, i always get bored if i have the same one on my phone for too long! Omg me too! I'm the worst for it.. I could have a whole drawer dedicated to my phone cases haha! That's an adorable case, definitely ever blogger's dream! I have a watercolour zebra phone case which I adore (zebras are my favourite animal) but I'm so tempted by this! What is it with bloggers and marble? Well, whatever it is, I think I need this in my life! 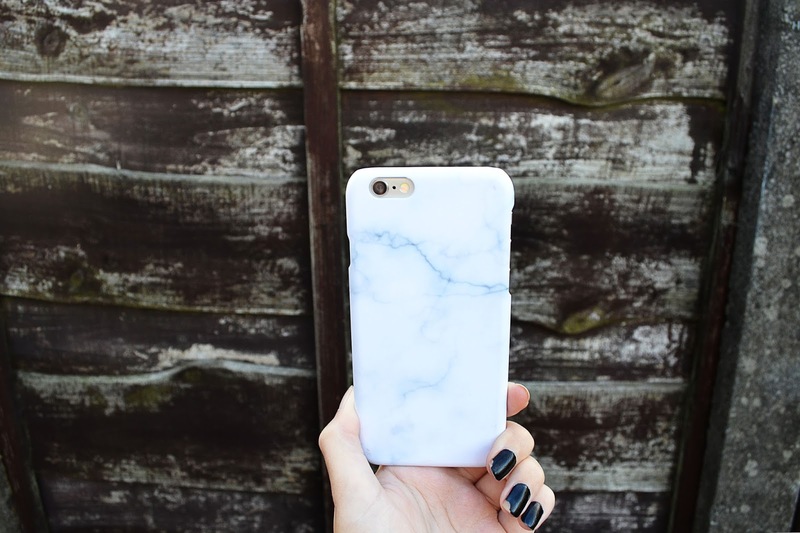 Bloggers can't get enough of marble haha!! It is lovely though, I'm awful with phone cases I really need to sort it out! Maybe I'll treat myself to one of these fancy ones! I love love love it! Marble is so beautiful how have we not been obsessing over it for years?!? I've seen these cases on a few blogs now, they're adorable and I am desperately in need of a new case, so glad I now I know where to look! This is such a pretty case, no all i need is an iphone to put it on, Do they do ipod touch cases? Ahhh I love how the marble looks! I'm constantly looking for new phone cases but never quite finding anything that completely hits the nail on the head AND stays good quality, so this may be the answer!